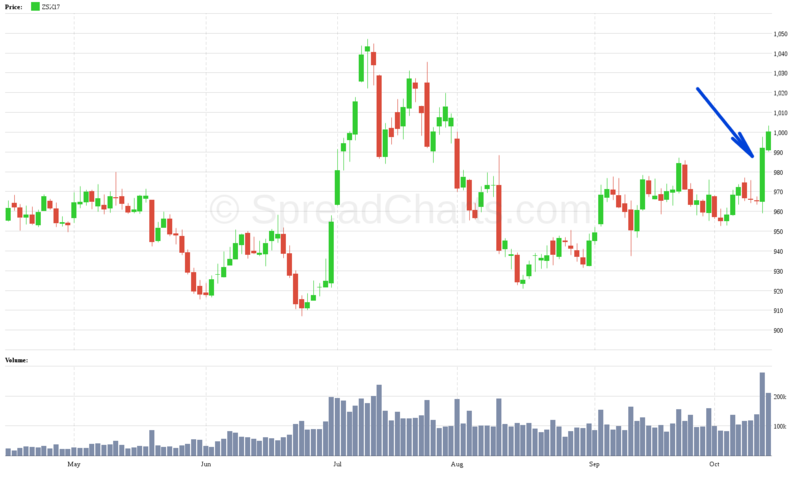 Soybeans: is it time for bull spreads? The October WASDE report (Oct. 12, 2017) moved mainly with soybeans and soybean mean. On the day when report was published, the soybeans front contract rose by nearly 3%, getting closer to a very important trendline and strong psychological barrier $ 10. At first glance, you can see why current resistance is so important. 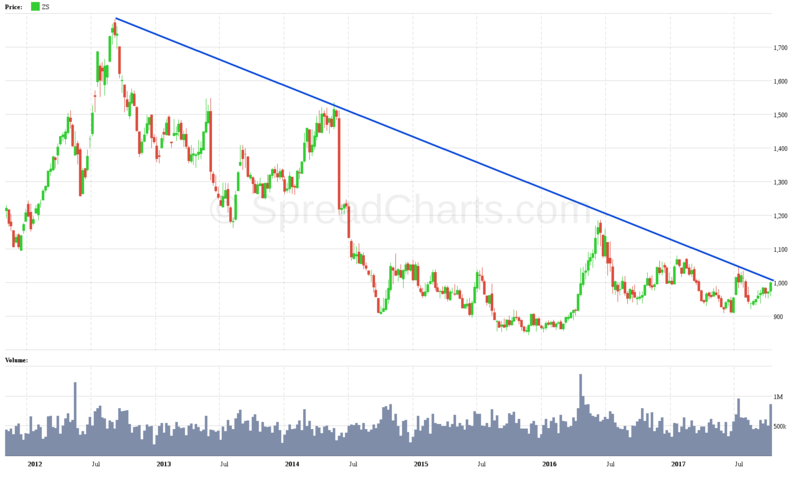 If the price of soybeans could break through this strong barrier, then the long-lasting downtrend, in which the commodity has been moving for 5 years would be also breached! Is the market strong enough to breakout? This means that if the demand for soybeans does not change much, we will witness record stocks. When I summarize it, the last WASDE report sounded “bullish,” but I rather perceive it in the short term. In the long run, the fundamental analysis suggests large stocks, therefore, it is less likely the will price rise. 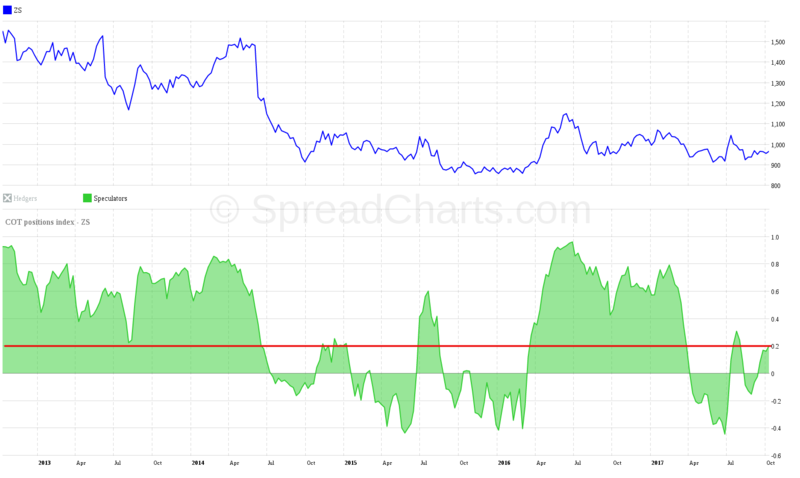 On the other hand, COT analysis, which reflects the mood of the two most important groups of market participants (large speculators and hedgers), is slightly positive for the price. Actual COT index values are rather in the oversold territory. But it is nothing extreme. If you’re following my Spread reports, you know that I’m also looking at other COT indicators, like the traders index. 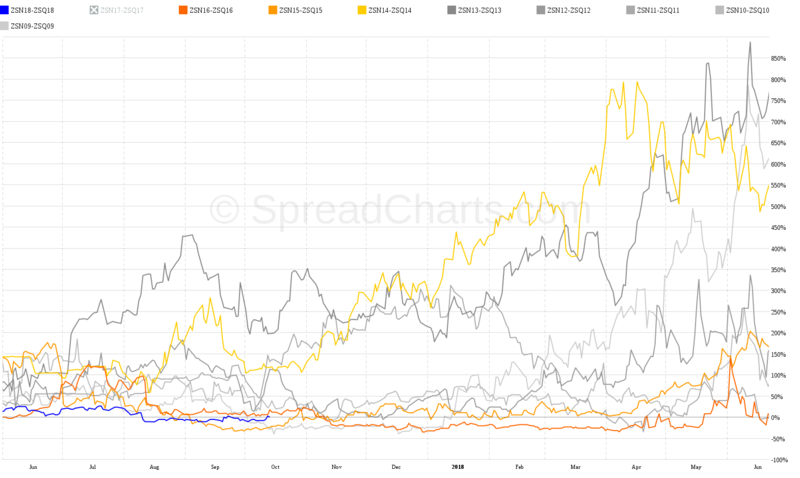 The group of big speculators is now quite interesting because their index is quite low on soybeans. 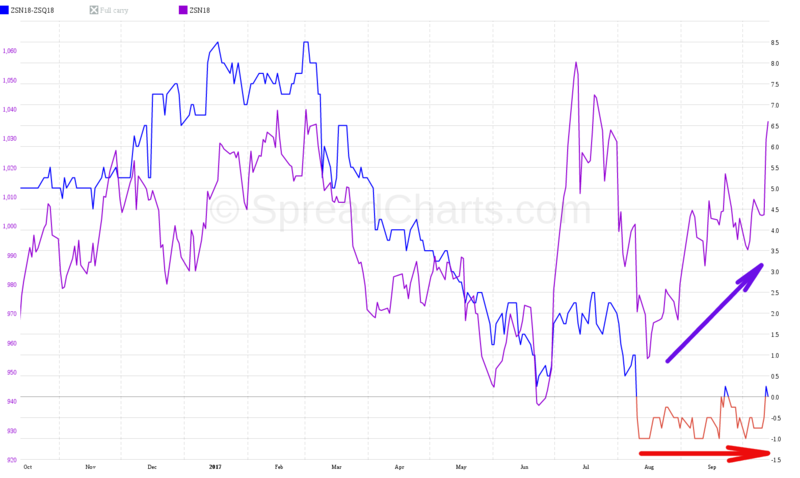 Spread traders know that I am trading bull spreads on soybeans. It is the strategy, where I speculate on the growth of the underlying commodity through a change in market structure. Personally, I prefer to trade the spread combination July-August, but July-November is also very popular spread, which includes two harvests. It is therefore more risky than the first option. But I’m not planning to enter the position yet. 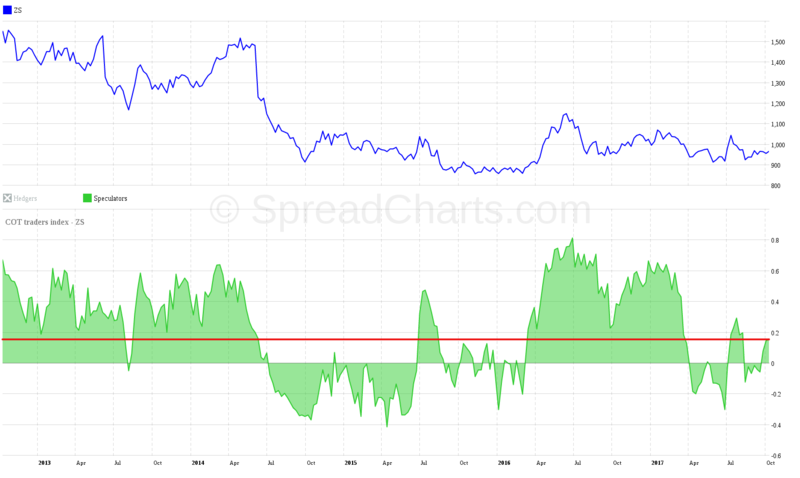 One reason is the COT analysis, that does not yet indicate that the market is in the condition I would like to have it (COT index values ​​for both groups closer to zero). Another reason is spread behavior. 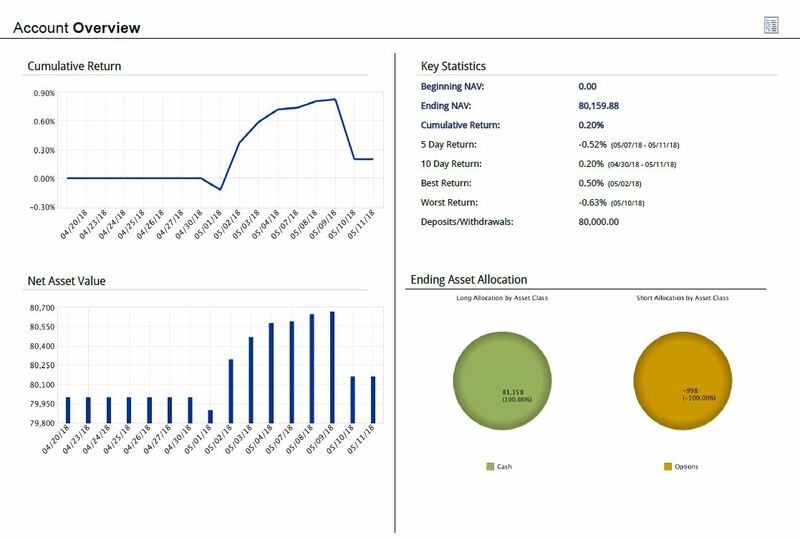 My potential spread ZSN18-ZSQ18 moves to the side despite the significant growth of the underlying asset and cannot flip into backwardation. More convincing will be the market transition between these contracts into backwardation. Historically, it turns out that a spread has better success possibility if it is able to maintain itself in this state for a longer period. This can be seen in the full carry analysis. Wonderful uptrends or steep rally are mostly associated with years, when the spread has remained above zero, in backwardation.